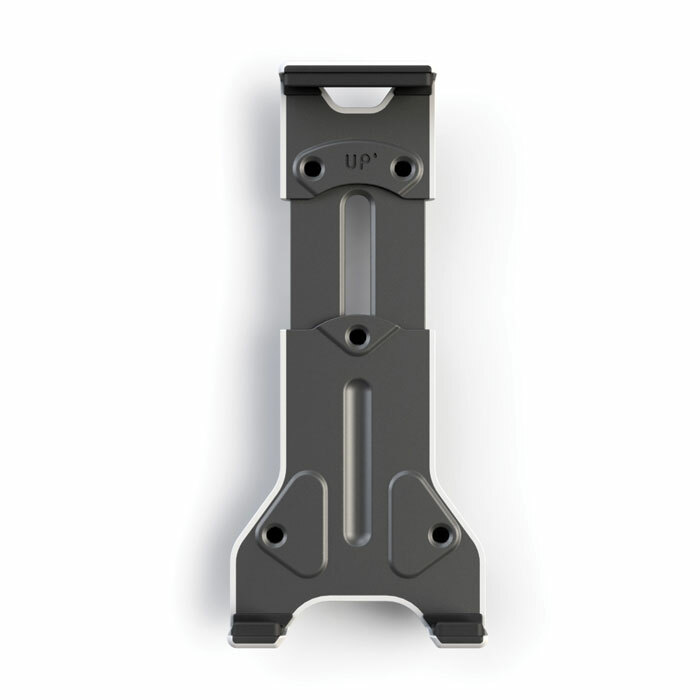 Slide Mount Hang your tablet on the wall of your choice and orient it however you want with the Exelium Up' 400 slide mount. Once the wall base is secured you'll be able to clip your tablet into place and be assured the lock system will keep it there. 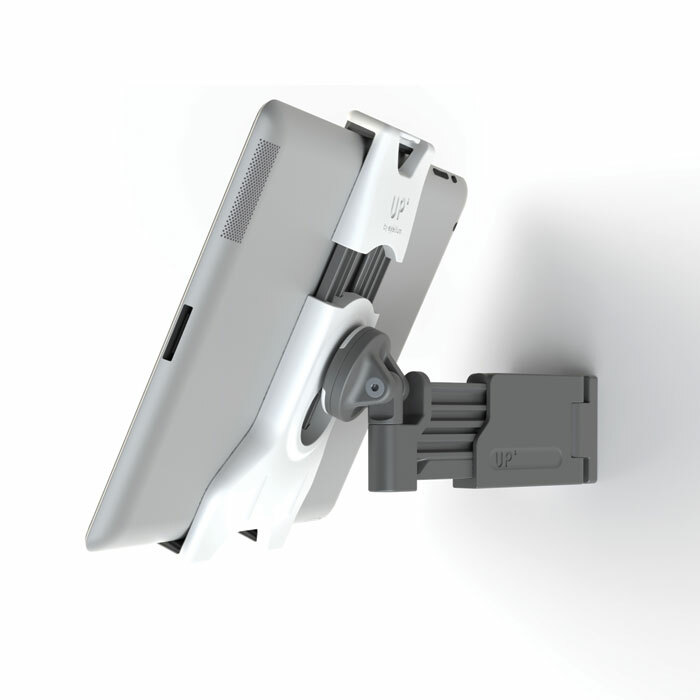 The sliding arm allows you to orient and adjust the position of the tablet. You can take a bath, brush your teeth, or cook while viewing your tablet. 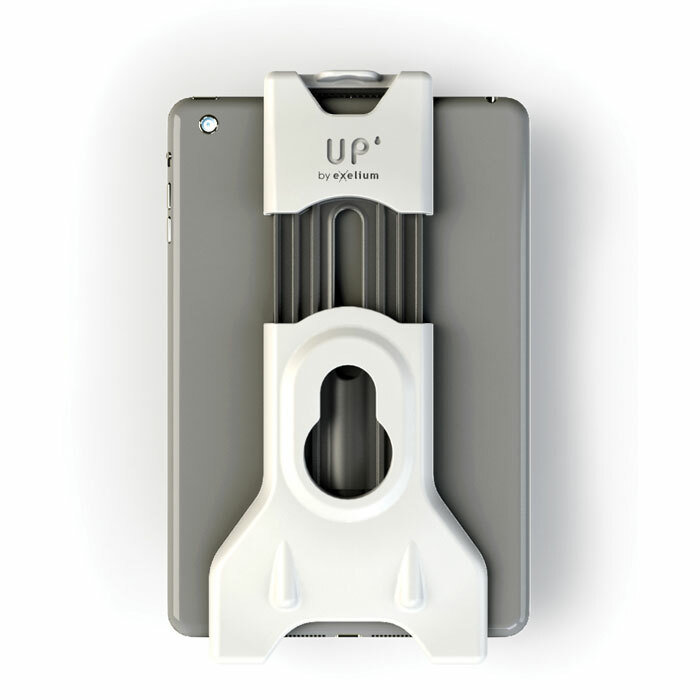 Universal Support If you own a tablet between 7 and 12 inches and you want to hang it on the wall, secure it to a table, hang it in an office, or place it in your car, the Exelium Up' universal system is the answer to your needs. The universal system is expandable to fit 7 - 12 inch tablets and keep them firmly in place. With the Exelium Up' system you can place your tablet on a wall base, sliding mount, car mount, or flexible mount safely. You can see a recipe while cooking, read the latest news, or watch videos, all without using your hands. Specifications •	Distance from the wall 48-170 mm •	Easy installation •	Secure system fall protection •	Portrait or landscape orientation •	Compatibility: Tablets between 7" and 12"